It’s ‘A’ level results day. Up and down our green and pleasant land, thousands of apprehensive students will be tentatively opening envelopes, hoping their academic efforts have achieved aspiration grades. As they rip into brown envelopes with thumb, letter opener or (if overly enthusiastic)hammer and chisel, thoughts of how future academic and career paths abound. A predominant number of the ‘A’ level examined seeking marks to fulfil entrance criteria of their university/course of choice. Whether the students aspirations are science or arts courses in traditional red brick universities, or studying for a degree at a less reputable former polytechnic, the anxiety levels experienced by prospective graduates remain the same. Their goal to spend the next three years sampling the university experience. A lifestyle encompassing three years of acquisition of key life skills and creating lifelong memories. Whether their desired alma mater is King’s College, Cambridge or the Jack Duckworth Academy of Window Cleaning in Salford, the same life lessons are acquired from the bunch of fresh-faced young adults. In particular, those leaving home for the first time. Away from their comfort zones of nearly two decades, the less domestically capable will find self-sufficiency a high-maintenance mistress. One who you ignore at your peril, particularly when it’s time for a parental visit to your digs. Lessons coming not only in the lecture hall, but also from terrifying domestic realisations like crockery/cutlery doesn’t load itself into the sink or dishwasher. Not to mention, acquisition of knowledge that a vacuum cleaner has other uses other than coat stand; along with learning Pot Noodles on pizza is an overrated culinary fusion. My son and daughter both graduated at St John’s University in York. In the shadow of the mighty Minster, both offspring picked up many valuable life lessons – Including uses of a washing machine, an iron, a cooker. Along with a new found realisation, unlike the Leaning Tower of Pisa, the leaning tower of pizza boxes will indeed tumble if over-stacked. On one occasion my wife Karen and I visited our youngest offspring at her shared student house to find numerous half drunken glasses of spirits scattered on their dining table. These mould riddled beverages the remnants of her friends 21st birthday house party two weeks previous. On witnessing this, Karen and me, concerned about potential health risks, threw them outside. Rachel and her friend Laura that is, not the spent two week old drinks. The girls were let back into their house after we’d tidied up and left. Both my kids loved studying in Yorkshire’s capital metropolis. The city, invading Vikings dubbed as Jorvik, an amalgam of splendid historical and contemporary architecture – A cosmopolitan, vibrant locale – A place I never tire of journeying twenty miles east from Leeds to loiter within it’s city walls. To close, I wanted to convey that hopefully anyone reading this has secured the ‘A’ level grades you desired.” Although if you’re the one who opened a results envelope with a hammer and chisel, you need to calm down a tad, lad! 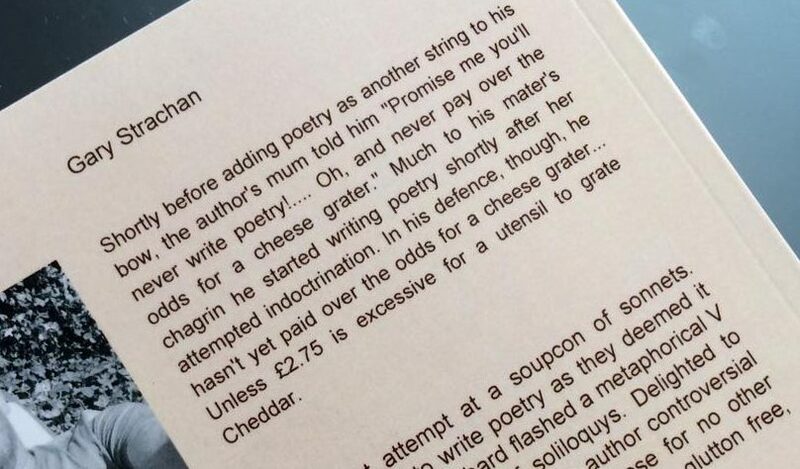 Also, if you want my son’s student recipe for cheese on digestive biscuits, give me a shout in September when you’re alma mater in situ…… Actually, I could just tell you now as there’s not much to the cooking prep. After all, it’s only a simple task of putting a slice of edam cheese on a digestive biscuit. I’ve never personally tried my son’s recipe, but he waxes lyrical about the wondrous taste given by the juxtapose of the biscuits sweetness with the savoury manifested by the edam. Personally, I’m more from the Peter Kay school of thought that garlic bread is the future. Thoroughly enjoyable to read your comments. It also reminded me of my own two son’s sojourns at universities here in the States, now 10 or so years ago.